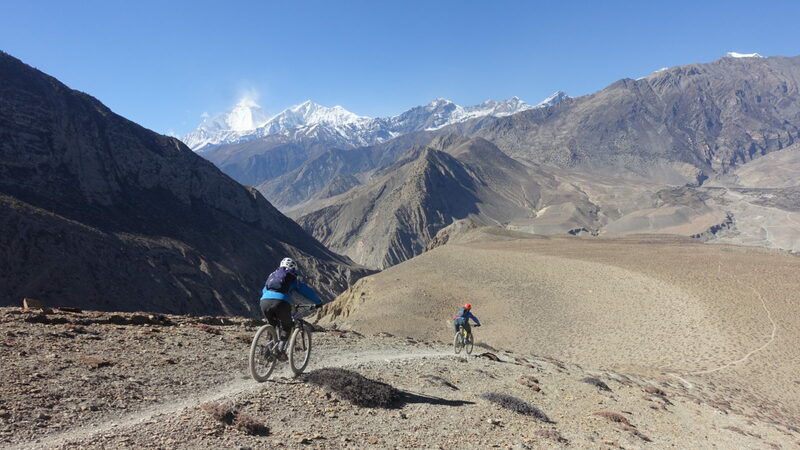 A trip of a lifetime mountain biking through the highest mountains in Nepal...and your trips helps to support Nepali female mountain bikers! 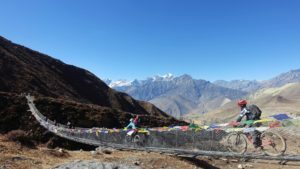 This classic route will take you through stunning scenery, from Besisahar at 800m to the Thorong La, a high mountain pass at 5416m and down through the lower Mustang region of Nepal, past stunning mountains and charming villages. Don't have as much time or guts to ride the Annapurna? Experience similar epic scenery in the Mustang region of Nepal on a shorter, but incredible journey through stunning mountains and friendly villages. Do you have a group of 4 or more that would like to do a trip? Are you interested in a different region on Nepal such as Upper Mustang or Solukhumbu? We can make that happen!